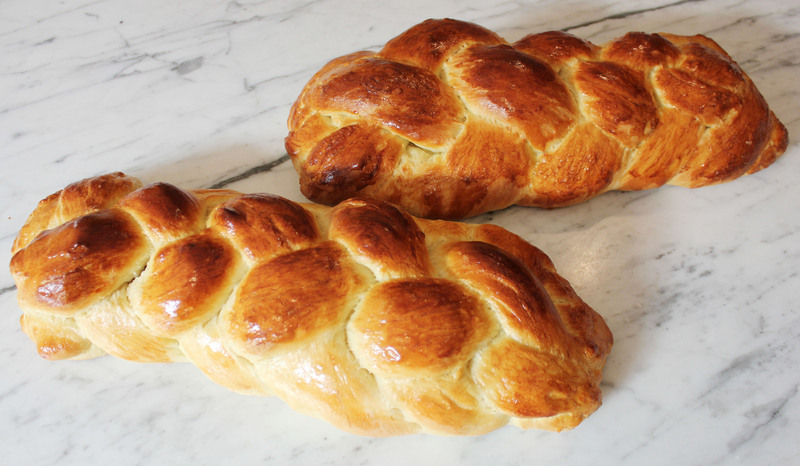 Hanukkah begins tonight at sunset, and in honor of the holiday, what better way to celebrate than to make classic challah? 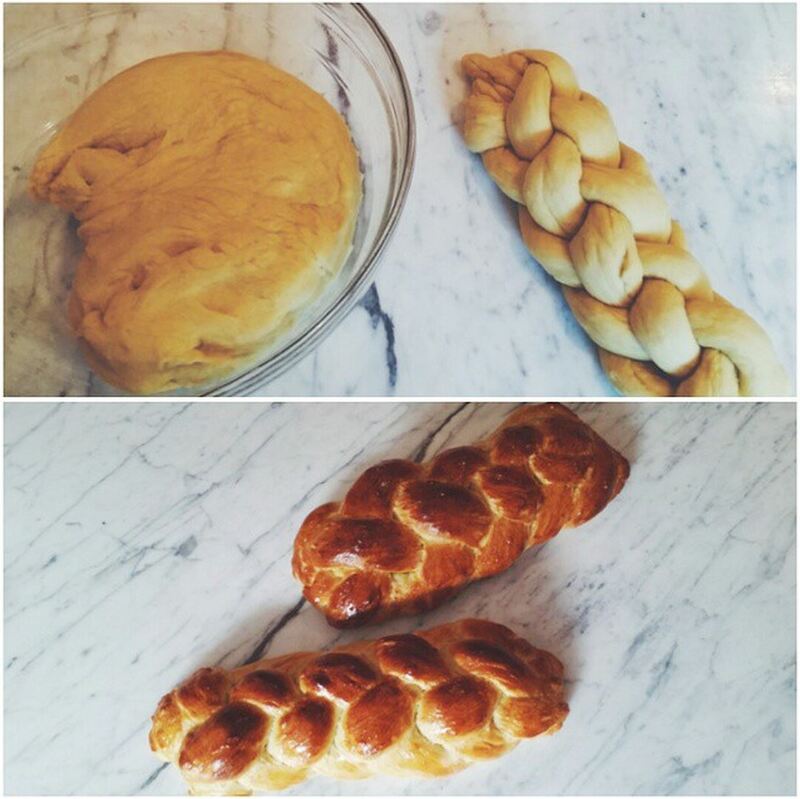 It took two attempts to make this braided bread, but I finally got it right on the second try. 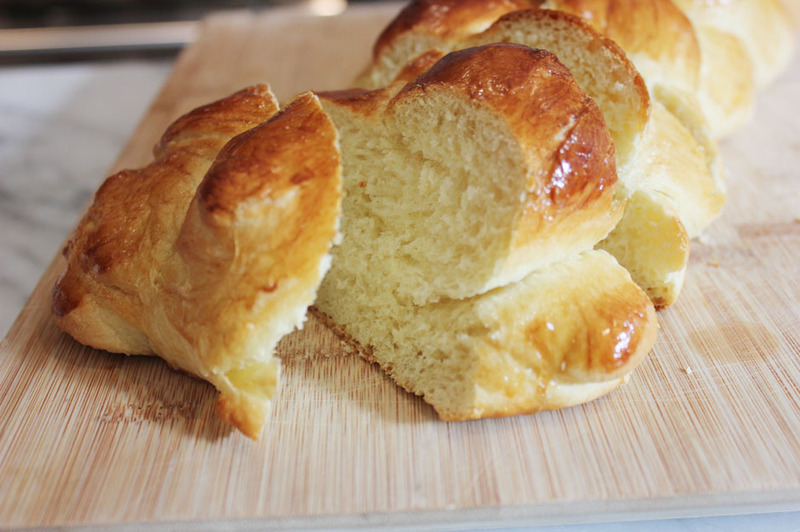 What resulted was a deliciously fluffy pull-apart bread that will be perfect for French Toast. 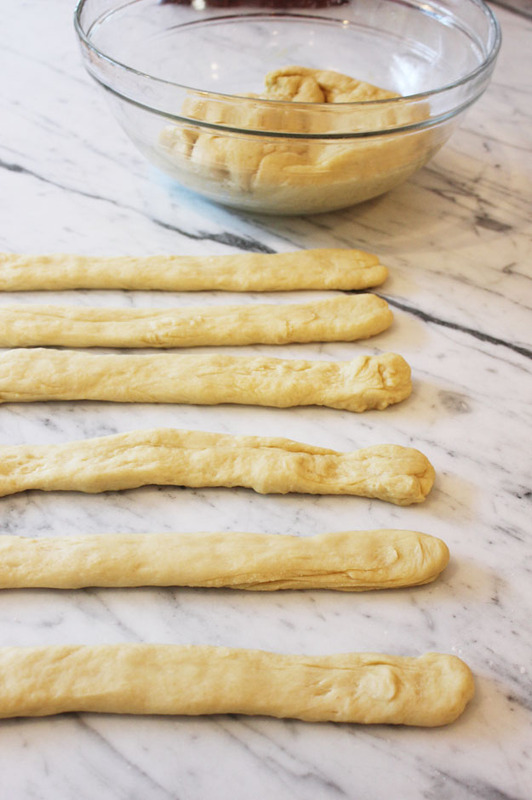 Because the dough has to rise for at about 2.5 hours, definitely plan ahead. I used this recipe, but ended up only needing about 6.5 cups of flour. Also, make sure that the water is lukewarm. 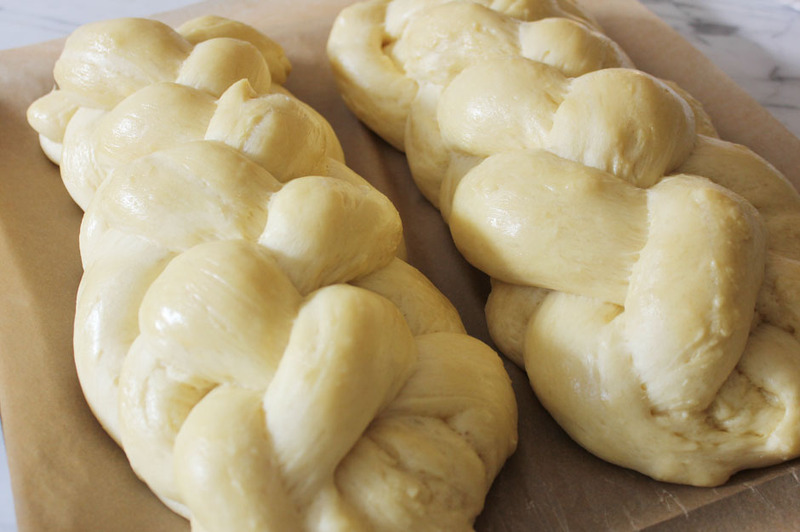 For braiding, I watched this video – it was so helpful! 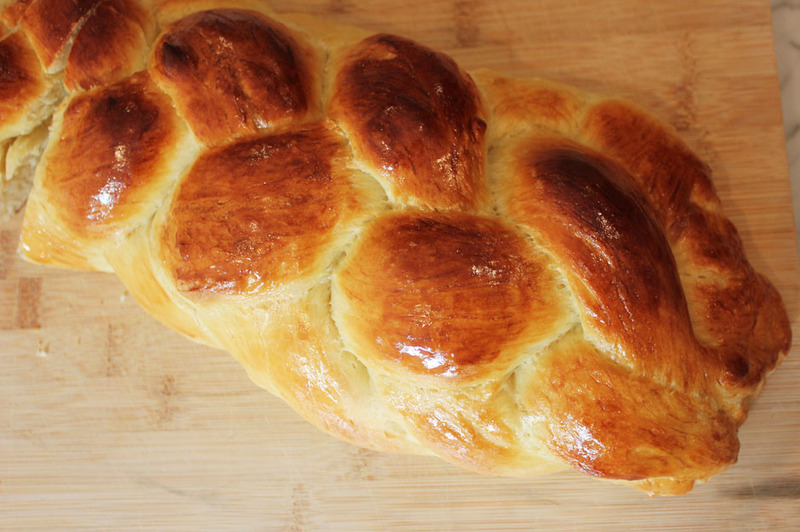 I can’t wait to try out variations of challah – including ones with cinnamon, poppy seeds, and ham and cheese. I think we all know what Sunday is: the Academy Awards! After an exciting season of handing out trophies to the movers and shakers of Hollywood, the time has come for the night of the golden statue. I watch the Oscars every year, usually with several snacks within arm’s reach. I don’t want to miss a thing so I prepare everything beforehand. In honor of the Oscars, I made a delicious Golden Caramel Popcorn. I was always intimidated by caramel and thought it would be similar to my sticky situation with Homemade Marshmallows; however, that was not the case at all. After the caramel boils and bubbles, it becomes a sweet and syrupy substance that is easy to work with if you move fast enough. This recipe was fantastic, and not only does the caramel have a golden glow to it, but it truly tastes Oscar-worthy. 2. Pre-heat oven to 250 degrees. 3. 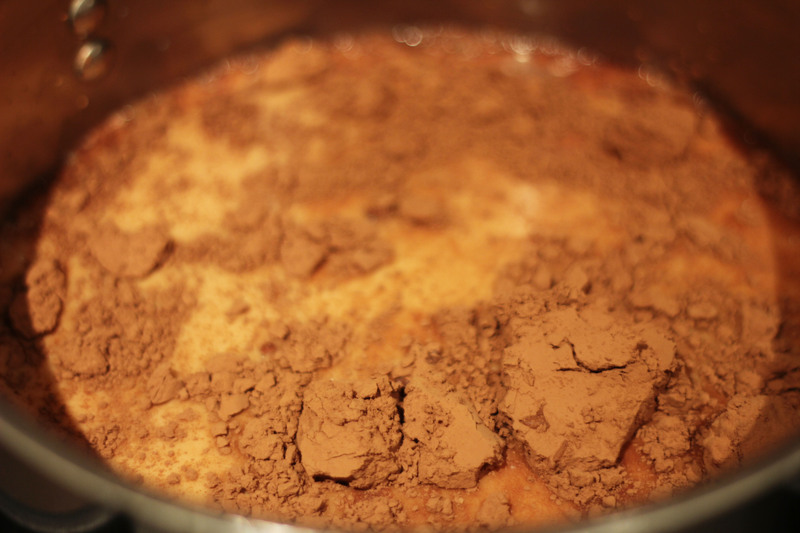 In a medium saucepan (you want to make sure there is enough depth to it), boil the brown sugar, butter, and syrup. 4. Bring heat to low-medium and let boil for 5 minutes. Don’t stir! 5. 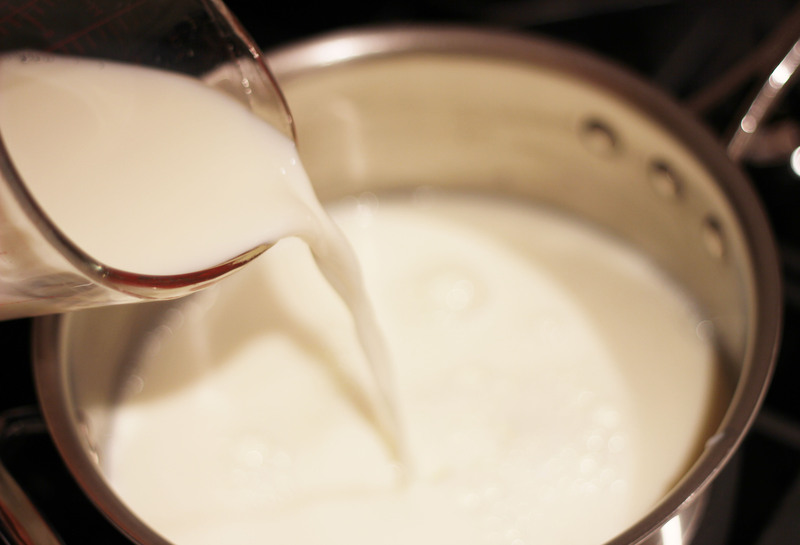 Remove saucepan from heat and add salt, baking soda, and vanilla. Mix all together. 6. Place popcorn on a deep greased cookie sheet. 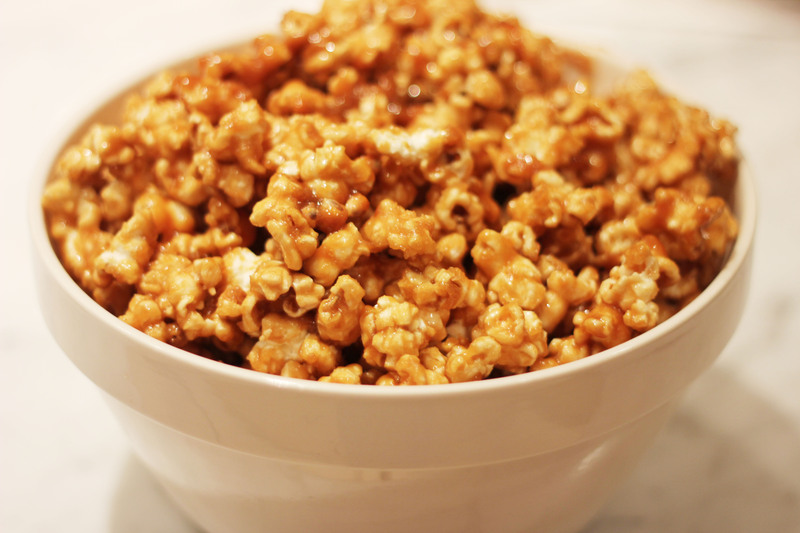 Pour caramel sauce over popcorn. 7. 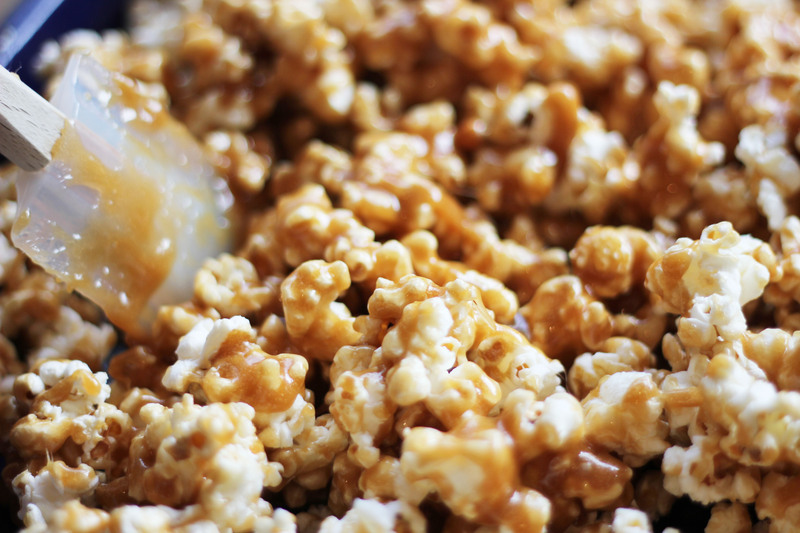 Bake for one hour, and stir the popcorn and caramel together every 15-20 minutes to re-layer and make sure the caramel covers all of the popcorn. 8. 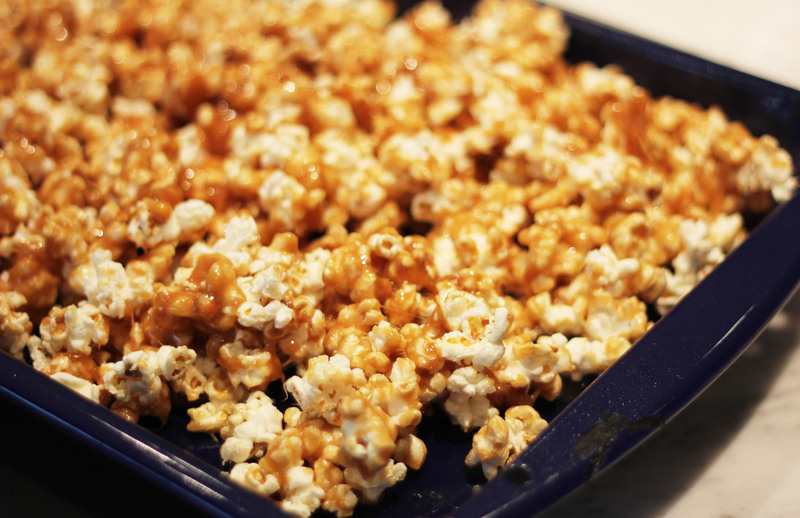 After one hour, let caramel popcorn cool down. Enjoy! 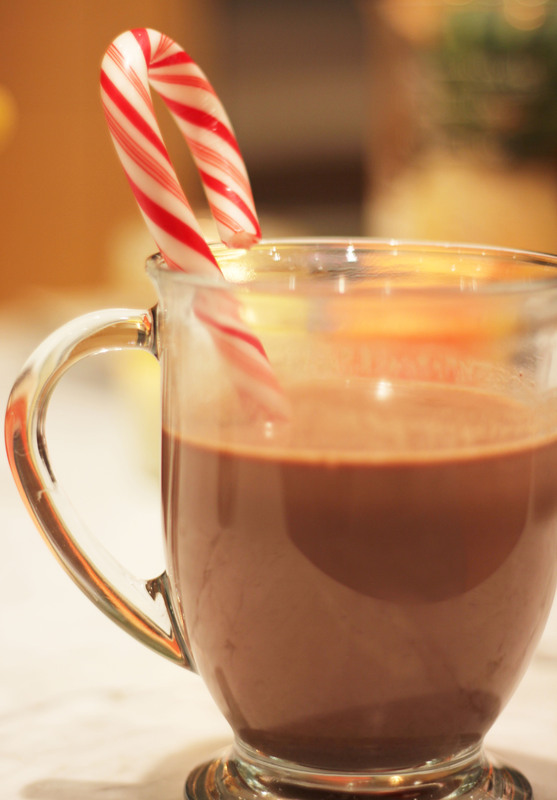 During the holidays, my typical go-to drink is peppermint hot chocolate. Starbucks has a delicious version, especially when served in the red cups. However, when I can’t make it to a coffee shop or it’s late at night and I want to pop in a movie and have something warm to sip on, this recipe (below) is a great alternative. If you don’t like your cocoa too chocolate-y, simply add more milk. 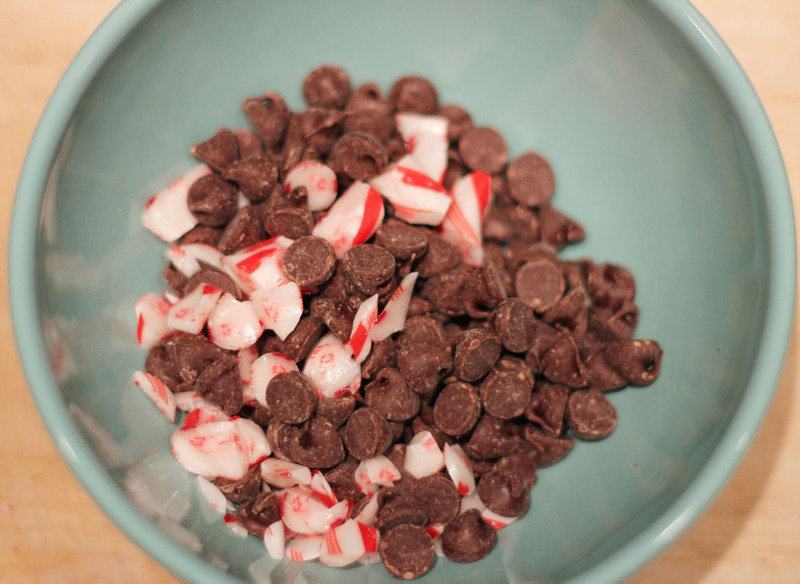 You can play around with this recipe since it is only milk, chocolate, and peppermint. Not terribly complex but a good know-how, nonetheless. Enjoy! 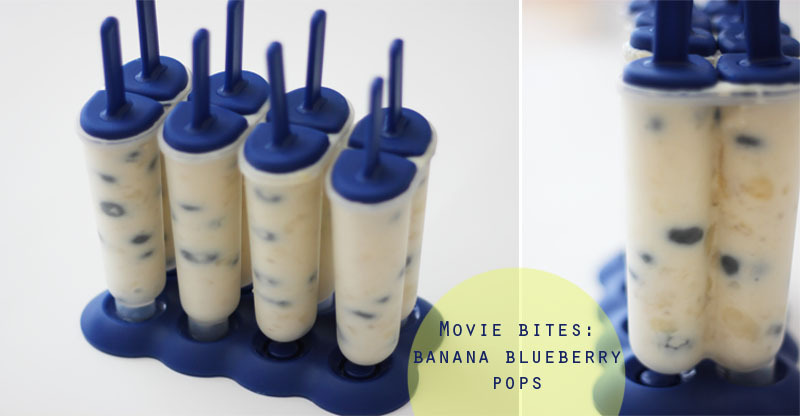 I had a couple of ripe bananas laying on the counter, and instead of letting them go to waste I made blueberry banana pops! This recipe is incredibly easy and healthy for a hot day when your taste buds are getting tired of ice cream and lemonade. 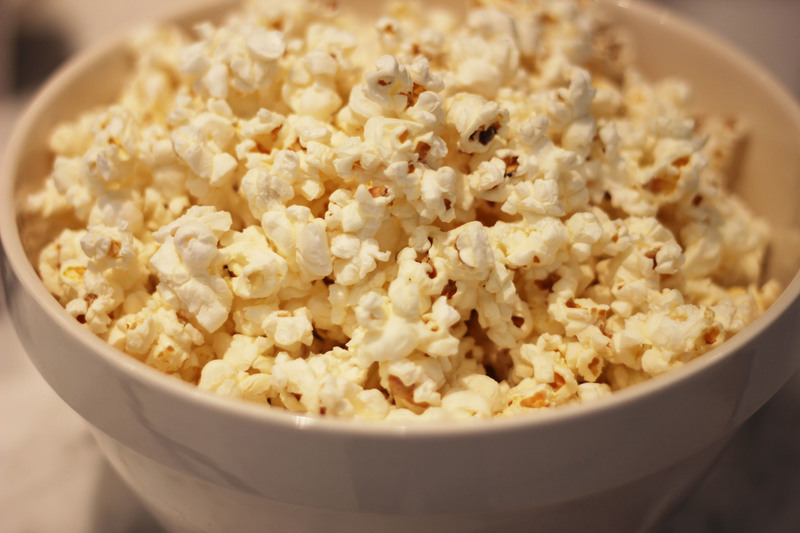 If you’re watching an afternoon movie, this snack is a great go-to! 1. Mix the bananas, yogurt, honey/sugar, and blueberries together in a bowl. You could blend them together for a smooth popsicle, but I wanted there to be fruit chunks, so I mixed with a spoon. 2. Pour mix into popsicle molds, let freeze for 2-3 hours. 3. When you are ready to eat, run warm water on the outside of the mold for 30-50 seconds until popsicle easily comes out. Sometimes when I am not in the mood for cooking or baking but still want to munch on something during a movie, I turn to quick snacks that are easy to whip together. 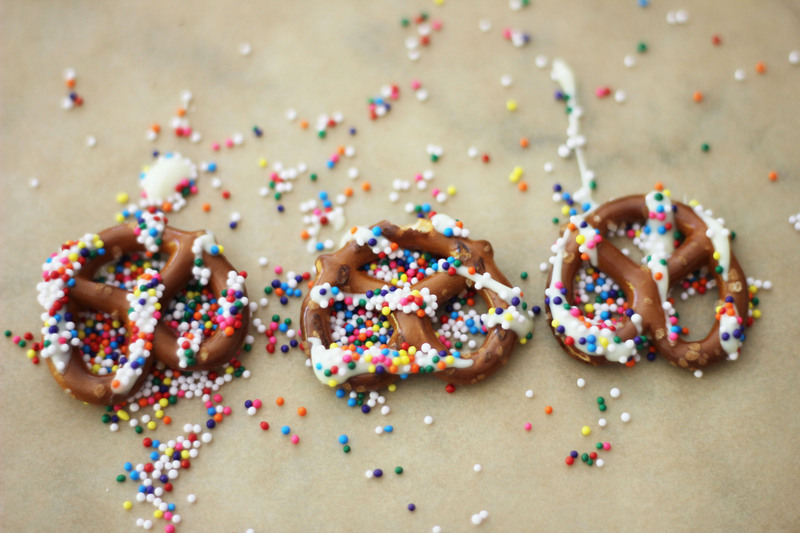 White chocolate covered pretzels with sprinkles are the perfect combination of sweet and salty. The pretzel’s crunch with the white chocolate creates a unique texture and makes for a great snack that doesn’t sit too heavy in your stomach. 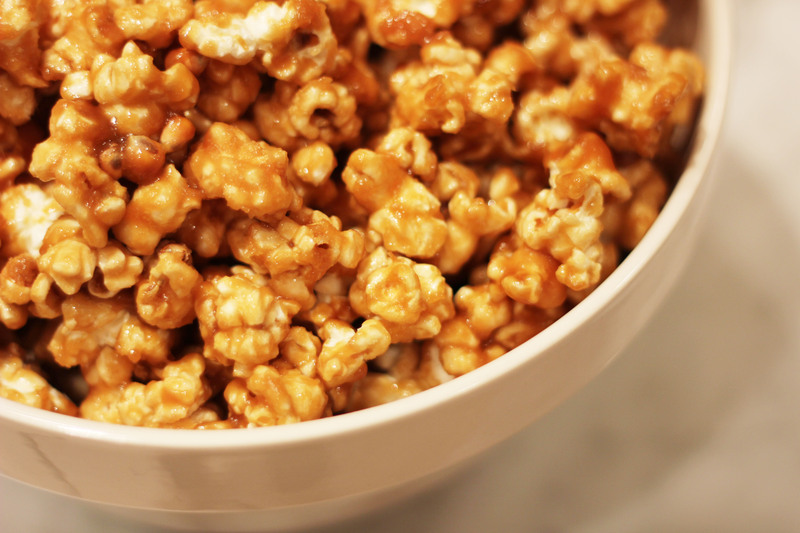 Another great thing about this snack: it takes less than 10 minutes to prepare! 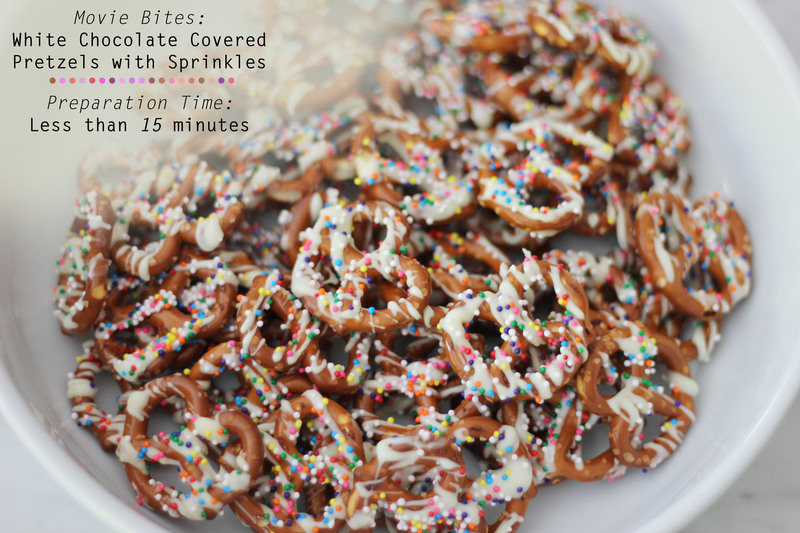 Gather your ingredients: pretzels, white chocolate chips/bars, and sprinkles. 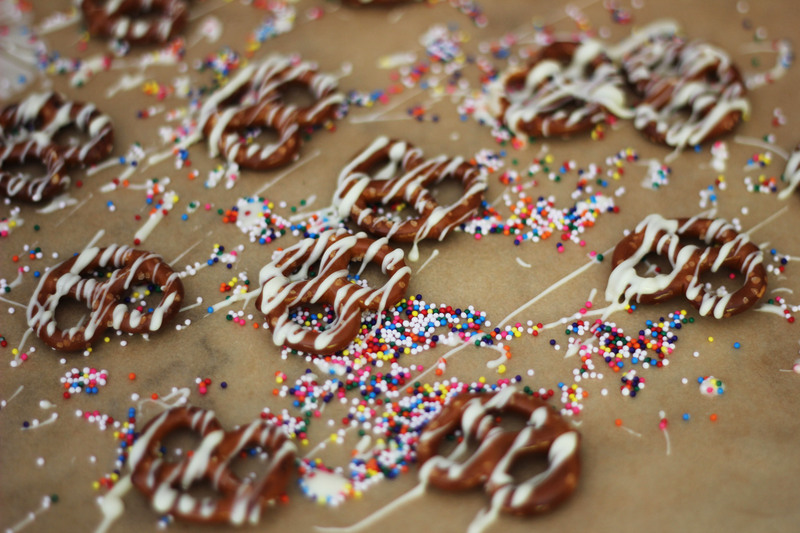 Lay pretzels out on parchment paper. Melt white chocolate chips/bars in the microwave or over the stove. 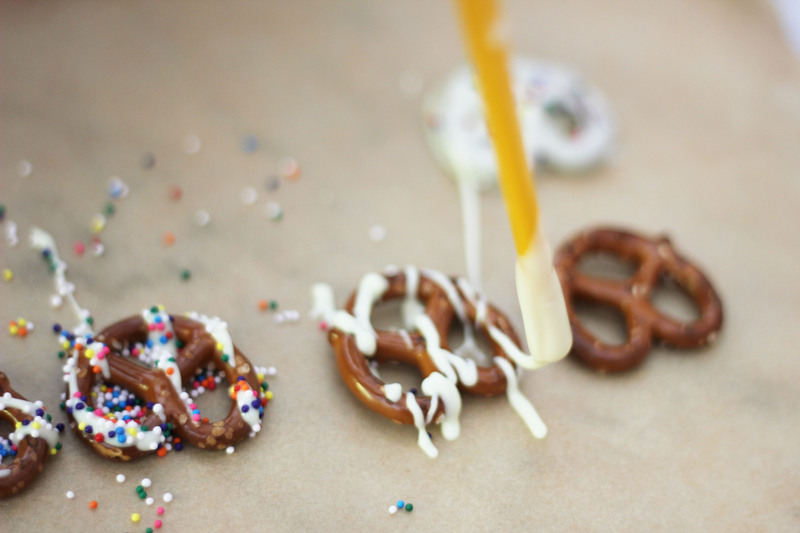 Using a chopstick, drizzle the melted white chocolate over the pretzels in a zig zag formation. 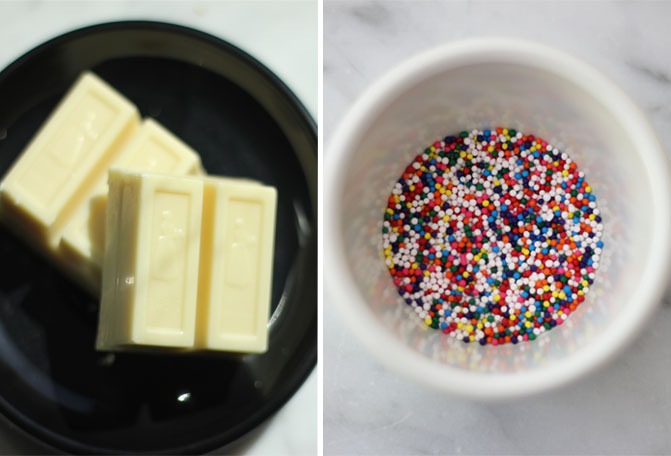 Shake sprinkles over the white chocolate. 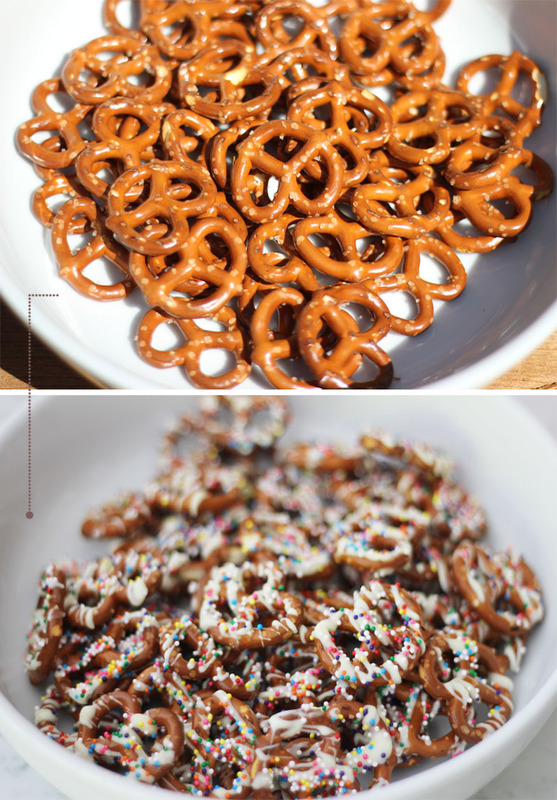 Freeze pretzels for about 5 minutes so the white chocolate hardens, making for easier snacking.